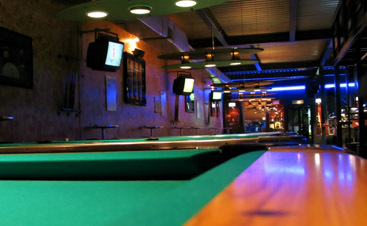 If you have a pool or billiards table, you don’t just have to play pool or billiards! You have a bunch more options that are guaranteed to spice up a gathering or informal hanging out with friends. At Vitale Billiards, we know tables backwards and forwards, because we specialize in pool table moving in Colorado and Wyoming. Over the years, we have discovered that these dynamic pieces have endless possibilities. In the next few blogs, we will share some great alternative games you can play on your table! You can look at Nine Ball as a modern version of Eight Ball. Rules can be set right before play. The goal is to pocket balls in numerical order – or to pocket the black ball using the lowest value ball available on the table. Depending on where you are in the world, you can pocket the most balls and still lose to the player who pockets the nine-ball. 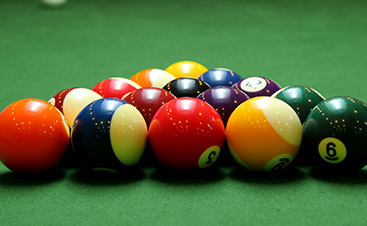 This challenging variation on pool is commonly played with five white balls and five red ones. The balls are arranged along the edges of the table. The goal is to sink the balls into their designated pockets, which are usually opposite them. The table is filled with padded obstacles, which ups the challenge! 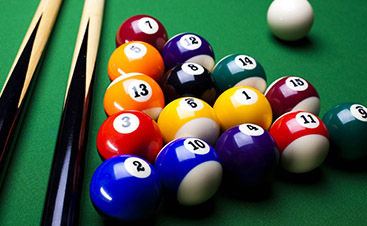 When you need expert help with billiard or pool table moving, Vitale Billiards is your answer. We have served northern Colorado and southern Wyoming for years with flexibility, affordability, and experience. Contact us today for a free quote!